Organized children are not born, they are raised. 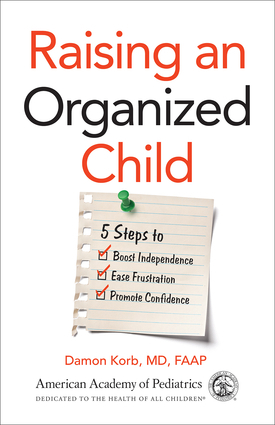 That's the philosophy behind Raising an Organized Child, in which Dr. Korb shares medically-backed guidance on raising an independent, self-assured, and organized child. He defines the neurodevelopmental abilities that are critical for organization and shows parents how to develop their child's organized thinking skills. Dr. Korb provides practical solutions for parents and teachers to help children develop their organizational abilities and executive function. Raising an Organized Child offers an overview of brain development as it relates to organization from infancy through the teen years and provides appropriate age-based milestones for organizational skills. Damon Korb, MD, FAAP, is a practicing behavioral and developmental pediatrician and founder of the Center for Developing Minds in Los Gatos, California. Dr. Korb is president of the Society of Developmental and Behavioral Pediatrics and an adjunct clinical instructor at Stanford University Medical Center.